Can we just take a moment to talk about how amazing these products are! Having struggled through pregnancy with the changes to my hair, I was getting more and more frustrated. I tried all sorts to get rid of the greasy locks and dry ends, from expensive organic to medicated shampoo, nothing was shifting it. Days of dry shampoo not working and knots increasing causing damaged ends. I have a very difficult hair type, fine hair it has a tendency to get oily and limp quickly. If you have fine hair you know what I am talking about, the hair will feel thin, lack natural body and bounce. There may also be areas where you can see your scalp through your hair and mine is dead straight. It is recommended that daily shampooing is the best for the health of fine hair and the general condition helping it to create the optimum scalp environment for growth. People may disagree with me here, washing every day can strip your hair of natural oils, true but not when you have fine hair that is greasy the next day! If you suffer from fine hair too, do not be reluctant to use a conditioner after shampooing thinking it will weigh it down. Conditioning is essential for all hair types. 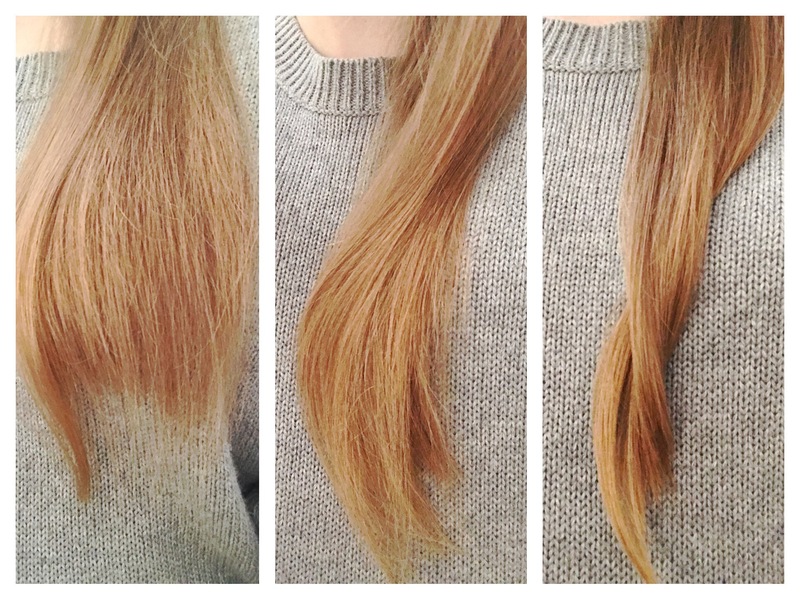 Applied in the right way will simply make your hair healthier. 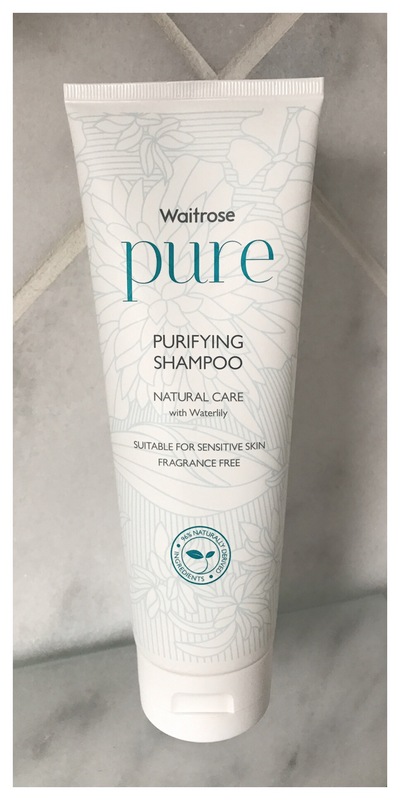 I want to rave about how amazing I have found Waitrose’s Pure Hair Care Range. Quite accidentally, whilst dragging my heels through the aisles one afternoon, I spotted this new range on offer, thinking why not, nothing else has worked so far give it a go. You may have heard about this range in the press, it is Waitrose’s budget range competing against Aldi’s skincare range. Not only is it affordable, but the range boosts its naturally derived ingredients, being fragrance-free and dermatologically approved, may even try the skin care range. 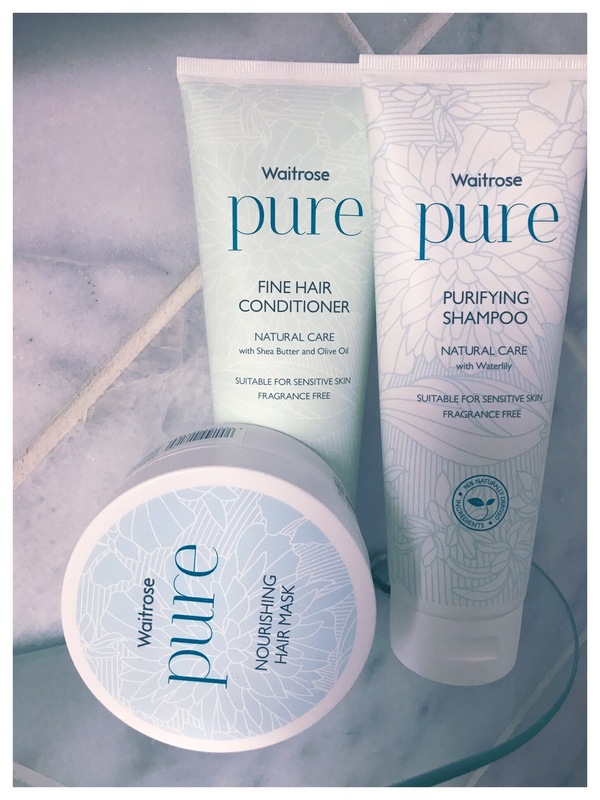 Purchasing the Pure Purifying Shampoo, Nourishing Mask and the Fine Hair Conditioner for £2 each as part of their introductory offer, I headed home in the hope this would make my hair normal for at least a day. The important thing to me was the fact that the shampoo claimed it was purifying, also the conditioner was for fine hair. Starting with the shampoo, following with the mask I left the conditioner until the next wash, as I am always a bit cautious with using masks and conditioner together due to the worry of weighing my hair down but every week the ends need some love and attention. After blow-drying my hair, I was impressed with the condition, my ends did not have that dry and brittle feeling or look. The ultimate test was to see how long my hair stayed grease free. Well, I was pleasantly surprised, normally half the day is gone and my hair has experienced a mountain of knots and is starting to flop. Knots, yes a few but my hair was still fresh looking. Waking up the next morning, I was thrilled to see my hair did not look like I had dunked it in a vat of oil and I was able to put it up. Hooray! Another day with fresh hair, I was impressed and it did not worsen during the day. It may seem silly but that one extra day makes the difference. I am highly recommending this range, however, it is a quick fix. As a fussy client with regards to my hair, I know what I want in a hairdresser and my hair. A shampoo is only really recommended at salon quality due to the fact that this does not include all the bad ingredients and my dry ends have not completely banished, however, improving and once they are better everything else will fall into place.